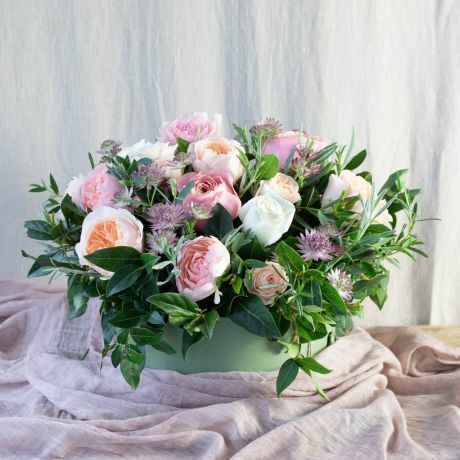 Our unique, signature hat box flowers are filled with scented garden roses, aromatic herbs and garden foliage have become as synonymous with The Real Flower Company as our scented garden rose and herb bouquets. Untying the satin ribbon and releasing the exquisite scent of your chosen bouquet is a memorable experience. Order online before 4pm for next day delivery in London & Nationwide. Why Choose Flowers In A Box? 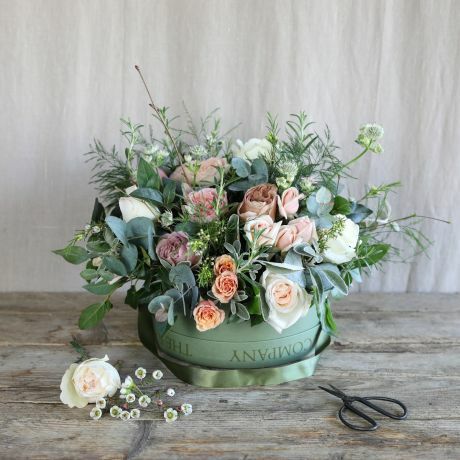 Our flowers in a box are the perfect way to give or receive our exquisite blooms crafted into stylish displays by our expert florists. 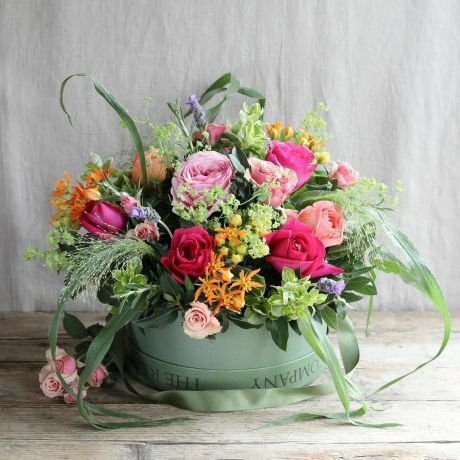 Hat box flowers need no further arranging once they arrive at your door, and the hat box itself becomes a memorable keepsake after the flowers have faded. 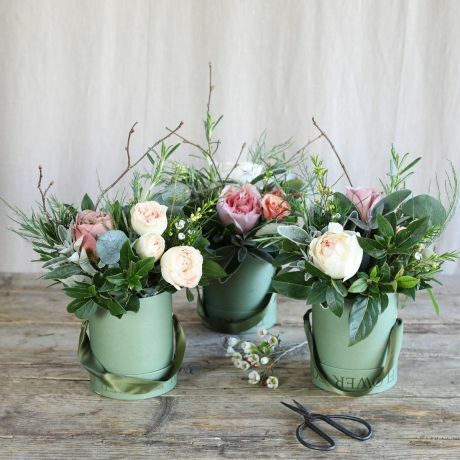 Our Hat Box Trios can be displayed together to dramatic effect or distributed around the home to bring a touch of floral magic to three different locations. Each signature green box is embellished with a satin ribbon to give a true sense of luxury. 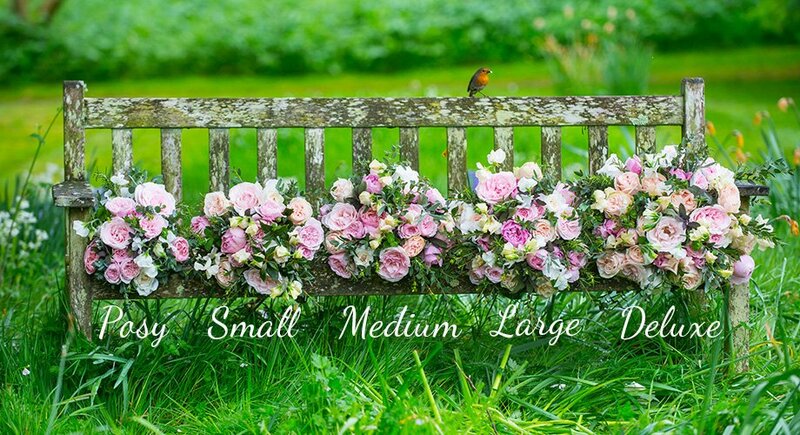 At The Real Flower Company we consider ourselves experts in cultivating scented roses, which we nurture in conditions guaranteed to maintain their individual characteristics and maximise their beauty and fragrance. 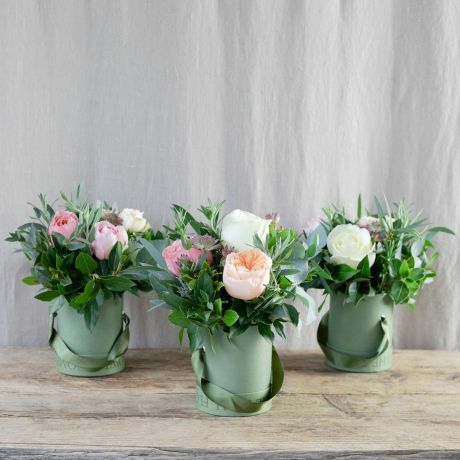 All our hat box roses – and the foliage and aromatic herbs that accompany them – are grown either on our own Hampshire flower farm or on our Fairtrade sister farm in Kenya, where the equatorial climate is perfect for year-round outdoor horticulture. 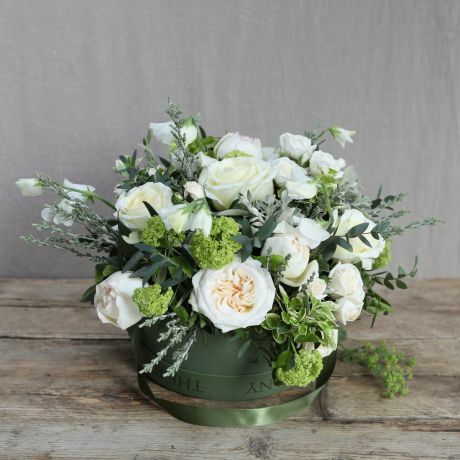 All our beautiful flowers in a box are available for next day delivery across the UK. 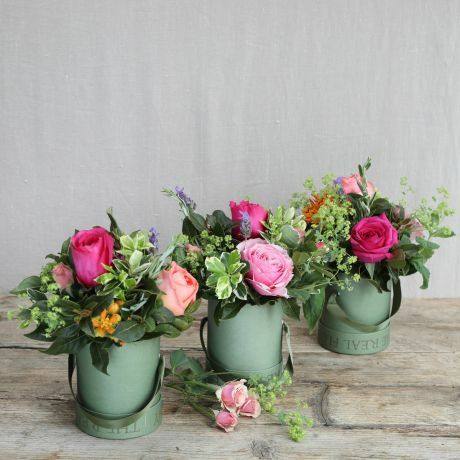 Needing no further arranging once they arrive at your doorstep, our hat box flowers bring the beauty and scent of an English country garden direct to your home.